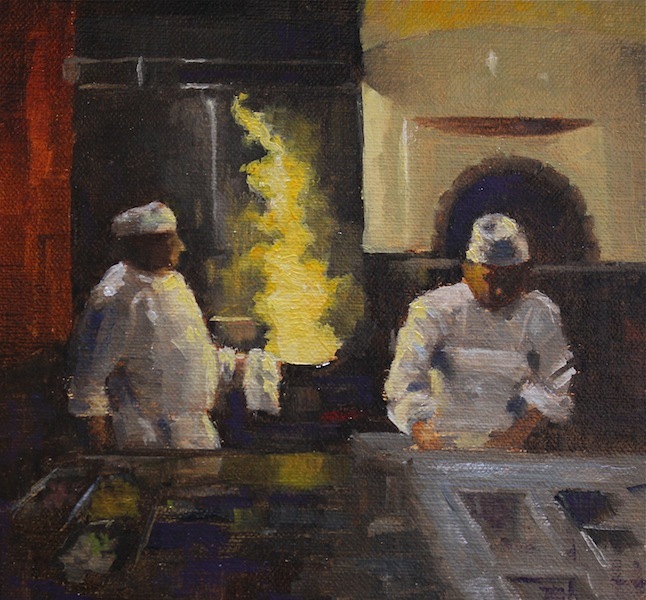 A very “painterly” painting of the Open Kitchen area of the Macaroni Grill. The Restaurant manager was very nice and let me take many pictures while the cooks were in action. When the cooks saw me taking pictures they started to pose and I had to tell them to carry on because I wanted to capture them while they were working. (It goes without saying, the food was delicious, as usual). This entry was posted in Uncategorized on November 22, 2015 by Faisal Tariq.